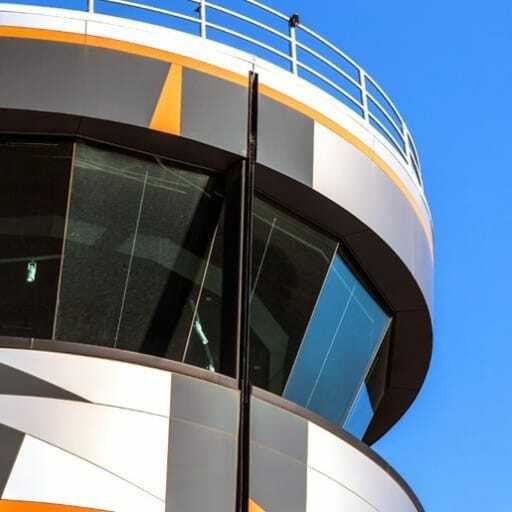 New air traffic control tower, consisting of two levels - a lower stand down level consists of plant equipment and staff amenities, the upper level consists of a control cabin, the stair landing between the two levels provides access to an observation deck and plant room, the tower is round in plan, the cabin walls are configured in flat glazed segments. 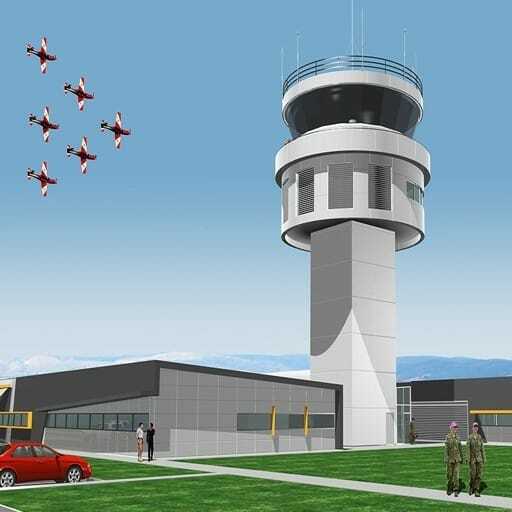 The Air Traffic Control Tower was constructed early in the development of RAAF Base Edinburgh, the existing tower facility was assessed with refurbishment determined as not cost-effective, with a new Air Traffic Control Tower to be constructed instead. The tower consists of two levels - A lower stand down level consists of plant equipment and staff amenities and is accessible by elevator and stairs. The upper level consists of a control cabin, accessible by stairs only. The stair landing between the two levels provides access to an observation deck and plant room. Whilst the tower is predominantly round in plan, the cabin walls are configured in flat glazed segments. Externally, the tower antennae are located on a platform on the main roof, accessed via a pull-down ladder within the cabin roof space. 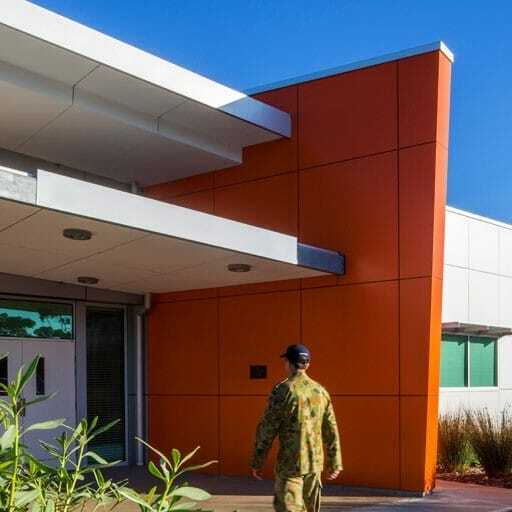 The tower and base building is lined with a durable aluminium sandwich cladding on a lightweight frame. Fixed sun shading is provided on the ground floor with reflective blinds in the tower control room. The use of simple roof forms with eaves gutters minimises maintenance and potential leaks. The new brief for traffic engineers: Get cars off our streets!